Cosey Homes are a professional practice of structural engineers and Chartered Surveyors in Manchester, dedicated to providing a complete range of property services. We operate with over 10 years of industry experience, and are proud to be accredited by the most respected specialist bodies, including the Royal Institution of Chartered Surveyors (RICS), the Chartered Institute of Building (CIOB) and the Chartered Association of Building Engineers (CABE). If you require property surveys or any kind of building-related advice in the Greater Manchester area, please call us on 0161 3120 100, or using the form on our Contact Us page. Buying a property is one of the most expensive purchases of your life, and involves countless important decisions that can affect your enjoyment of your home for years to come. When it comes to making these choices, it’s essential that you are fully informed about your options and their long-term effects. At Cosey Homes, we can offer a comprehensive picture of your property’s structural integrity, physical condition and maintenance requirements to help you understand the decision you need to make. As one of Manchester’s leading teams of Chartered Surveyors, we have used our expertise to help thousands of clients all over the north of England. We hold ourselves to an exceptionally high standard, and always work to provide the very best customer service, reliable impartial advice and quality building reports and valuations. 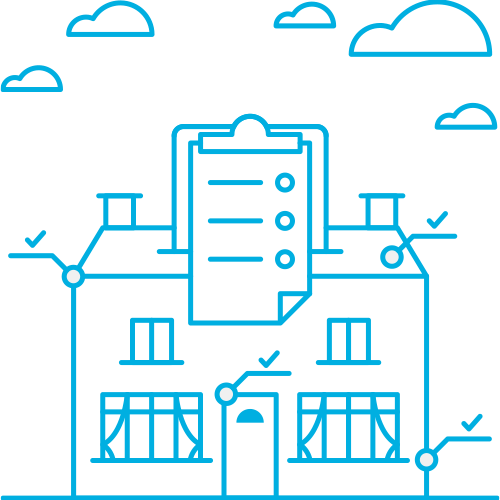 We are completely independent from mortgage advisors and estate agents, so you can be sure that the guidance we offer is unbiased and tailored to your best interests. We never recommend work that won’t benefit you or your home, and we make sure that our reports are well-formatted and easy to understand, so you can access the valuable information you need to make the right choice. It’s recommended that every buyer commissions a survey before they proceed with a property purchase. Whether you are looking to move into a beautiful listed cottage, a newly-built modern apartment or are relocating your firm to a larger office complex, a survey can help you determine whether the property is as good as it looks, or whether there are hidden defects and substantial repairs needed before you can move in. The results of a building survey often save buyers thousands of pounds in remedial work later down the line, and equip them with reasons to re-negotiate the purchase price. Even if no substantial defects are discovered, homeowners and building managers are usually quite pleased with the peace of mind a survey returns. Do I have to have a survey on a new house? It would be nice to think that a newly-built property is sold in a perfect condition. However, this is not the case, and it’s fairly common for new homes to feature a whole host of problems. A professional snagging list can capture smaller jobs, however a RICS Condition Report is usually chosen to reassure buyers that there are no significant problems with the construction or materials with the building. Even if you have no specific concerns about a property, it is still important to have it surveyed professionally. Many structural issues are not immediately apparent, and it often takes specialist analysis to identify a defect, determine the cause and make accurate recommendations about how to repair it. RICS Condition Reports, which give a brief overview of the property’s condition, highlighting any areas of particular concern. These are suitable for new homes, where no defects are anticipated. RICS Homebuyers Surveys, designed to provide a reasonable amount of detail about a property, laid out in an easy-to-follow format. Defects will be addressed using a traffic light system to indicate severity, and will highlight features that do not currently meet building regulations. The inspection is non-invasive, and is therefore recommended for typical properties that are less than a hundred years old. RICS Building Surveys offer the greatest level of detail, and are ideal for homes constructed using unusual methods or materials, historic buildings or property that needs substantial renovation. Your report will contain a comprehensive analysis of defects, including maintenance recommendations and repair cost estimates. Specialist Building Reports are the best choice for when a specific problem has been spotted, and needs to be investigated in more detail. 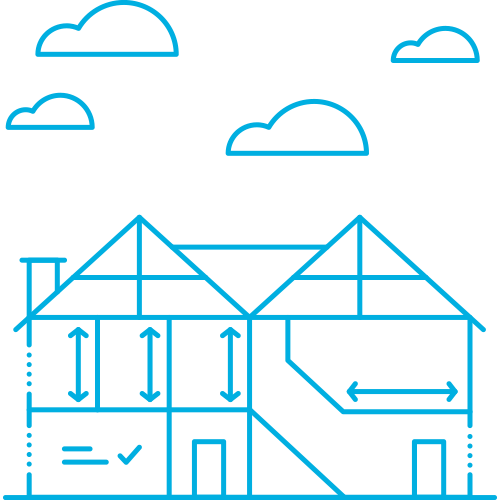 A RICS accredited surveyor can assess the extent of damp, subsidence, timber decay or other specific problems, which can prove essential if you are renovating or trying to secure financing. Residential Valuations are used for a number of purposes, and provide a much more accurate house value than you might receive from an estate agent. We often assist clients that require valuations for probate, divorce settlements, taxation purposes and much more. Commercial surveys and valuations are tailored specifically to commercial requirements and considerations. 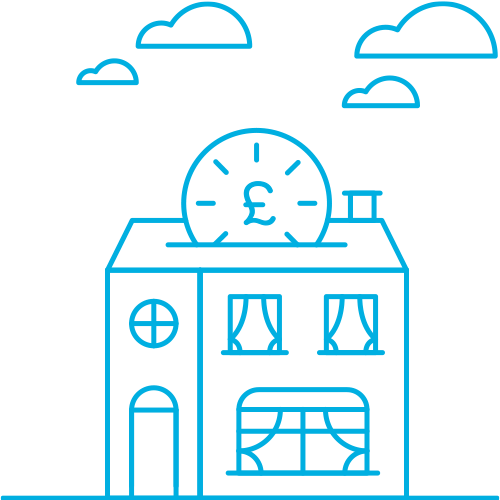 We work with an extensive range of property, including shops, offices, food outlets and agricultural premises. A survey can tell you about urgent remedial work that needs doing, as well as how much it is likely to cost. Many buyers use this information to negotiate the same amount of money off of the asking price for the property, although others prefer that the seller gets the work done as part of their sale agreement. What survey do I need for a listed building? The most appropriate survey for a listed building is the RICS Building Survey, as it will go into the depth necessary to cover the unique features and requirements of a historic, character home. The main difference between a Building Survey and a HomeBuyer Survey is the depth of investigation. A HomeBuyer survey is non-invasive, meaning that only the visible and easily-accessible parts of a building are inspected. On the other hand, a Building Survey will take every reasonable measure to check the condition of “hidden” areas, such as under floorboards and inside attics, and will also made informed speculations about the state of any completely inaccessible areas of the property. If you are interested in having a property surveyed in Manchester or you would just like more information about which service is right for you, contact us today by calling 0161 3120 100 or complete the form on the right-hand side of this page and we will be in contact with you as soon as possible.